Their problem (GOP) is not me and the Democrats; their problem is themselves. Who are they? Are these extreme conservatives who are right-to-life, pro-assault weapon, anti-gay? Is that who they are? Because if that’s who they are and they’re the extreme conservatives, they have no place in the state of New York, because that’s not who New Yorkers are. Later, in an open letter to the New York Post, he claimed his remarks had been distorted. Here, I’ll take him at his word–that he meant that the New York electorate won’t tolerate such views. Judging by recent elections, he’s right. Still, the genie is out of the bottle and his phrasing unfortunate, if not symptomatic, of an increasingly trenchant political milieu, though I admit that politics hasn’t ever been a safe place to venture, even at the private level. I’m further dismayed that much of the current incivility comes from the Progressive wing of the Democratic Party, intolerant of those who disagree with them, subjecting them to highly charged labeling, caricature, and derision. It didn’t help matters when Mylan Denerstein, counsel to the governor, later published a backtracking piece on the governor’s website, using the phrase, “extremist agenda” for those with such views. Ironically, with one verbal swoop, the governor sloughs off the sincerity of millions of Roman Catholics and evangelicals who believe abortion to be a termination of a human being or that homosexuality isn’t biologically a genetic component, or gun advocates who believe the Second Amendment supports their viewpoint. It’s time for all of us to quit throwing rocks at each other. It solves nothing except to underscore an underlying insecurity about our views, spilling over into angry backlash rather than testing our beliefs in the arena of public debate. 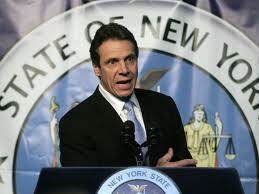 Cuomo assumes this conservative element is both extreme and a minority viewpoint. Does this mean that you judge the worth of an idea or belief by how many hold it, or the weight of public opinion? As that “saint of rationalism, John Stuart Mill, cogently warned us in On Liberty (1859), majorities can ultimately consummate themselves as tyrannies repressing minority opinion even in a democratic context. The only freedom which deserves the name is that of pursuing our own good in our own way, so long as we do not attempt to deprive others of theirs, or impede their efforts to obtain it (Mill). Unfortunately, we’ve seen our liberty for divergent opinion increasingly eroded, ironically, often lurking within the bastions of academe and not just government or media. Ideas, no matter how repugnant we may view them, deserve their exposure in public debate. A liberal society stands on the proposition that we should all take seriously the idea that we might be wrong. This means we must place no one, including ourselves, beyond the reach of criticism; it means that we must allow people to err, even where the error offends and upsets, as it often will. Are you listening, Governor Cuomo?